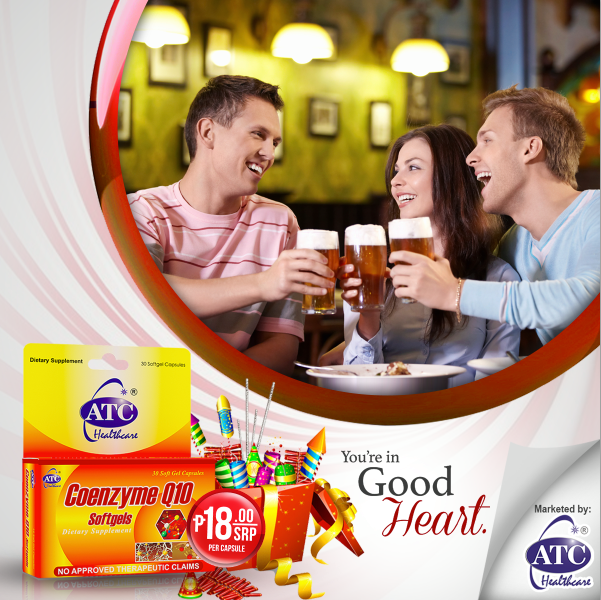 ATC Coenzyme Q10 is made possible by ATC Healthcare International, Your life ally! 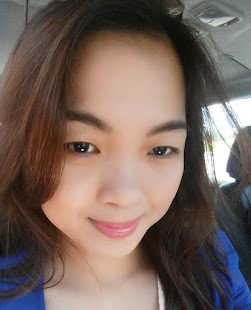 ATC Coenzyme Q10 is sold at SRP 18.00 per soft gel. 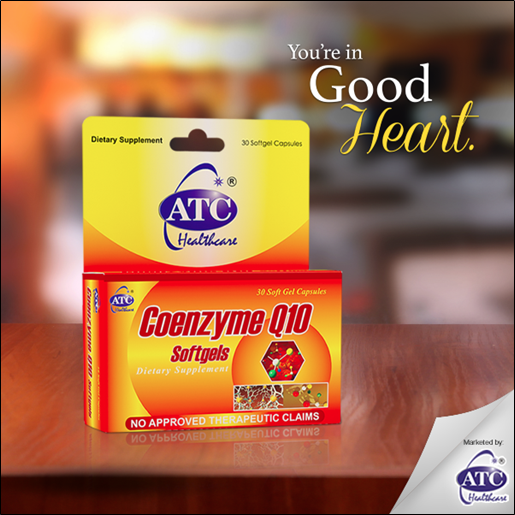 ATC Coenzyme Q10 is available at Mercury Drugs and all leading drugstores nationwide.